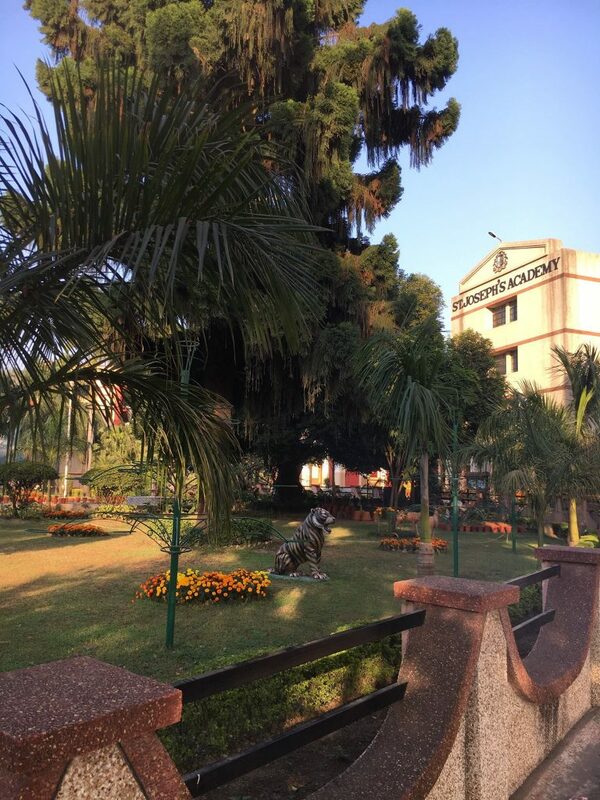 Dehra Dun and Mussoorie Hill Station are well known for their schools. The range of standards is huge. The Doon School (a boys boarding school here in Dehra Dun) is India’s most famous high school. 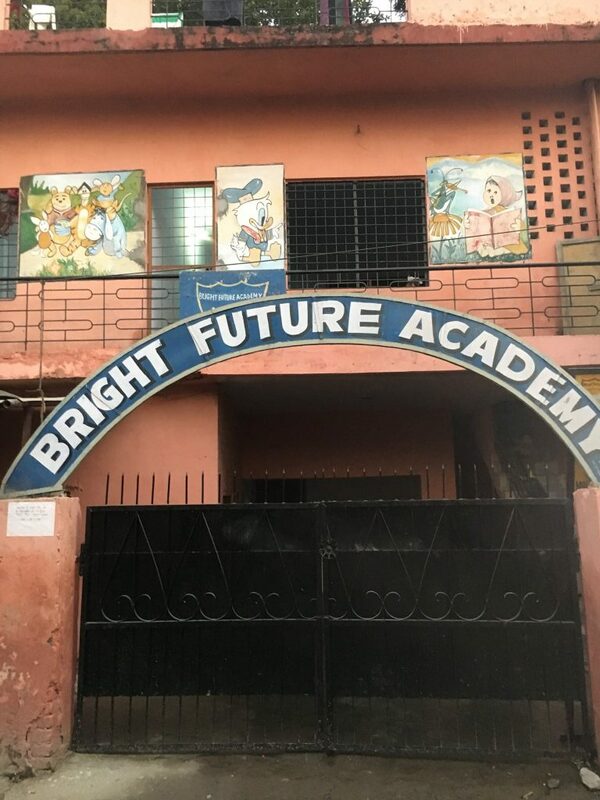 Bright Future Academy (see picture) is not. 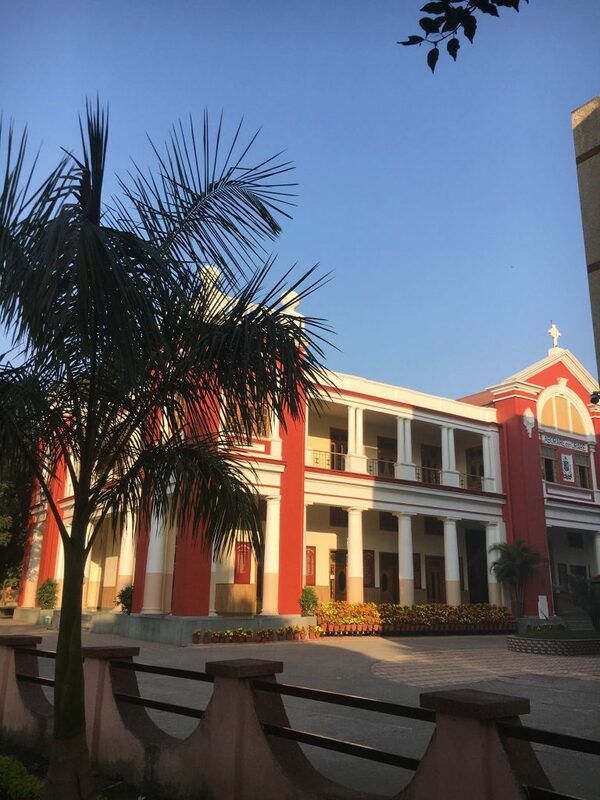 There are three Catholic schools in Dehra Dun. The Convent of Jesus and Mary, St Agnes, and St Joseph’s Academy. The first two are run by Sisters and as is typical one is fee paying (CJM) and English medium, and the other is notional fee paying and Hindi medium. Staff who can teach an English language based curriculum are paid more and thus fees are more expensive (there is no government funding). Within these layers there is also a class (and caste) system at play. A couple of days ago I visited the Brothers (Patricains) who run St Joseph’s Academy. Their co-ed school is in the middle of the city. They have 4,123 students of whom 185 are Christian and of those about 120 are Catholic. No preference cards here. RE is taught to the Catholic students when everyone else – Hindu and Muslim and a few Tibetan Buddhists– take a subject called civic studies. The RE classes take place on a magnificent large verandah with the students gathered around Br Denis the Principal. In a very large school it’s a privileged moment for those students to be close to the Principal and taught by him. 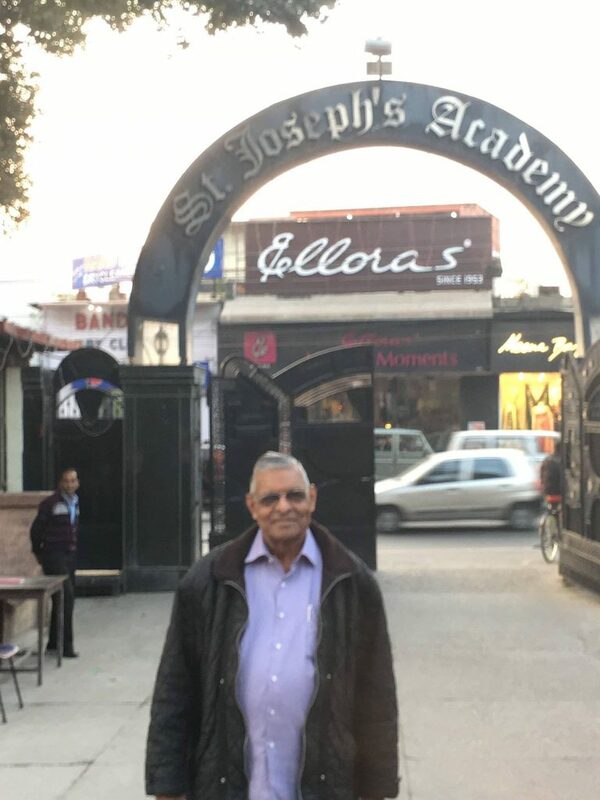 The one remaining much revered Irish Brother, Br Carol, is up at their College in Mussoorie. All the rest are now Indian. Some in our culture might ask, why run Catholic schools for Hindus and Muslims? Globally the Church has a vast network of schools. The Catholic Church is the largest single provider of schools in the world by far. Education is seen as a service to society (not a tool of proselytism). In India its network of schools is extensive (and also in Pakistan and Bangladesh, there with an emphasis on schooling girls who so often are neglected in Muslim countries). Class sizes are typically 50, there is great respect for teachers, and self-discipline strong. Br Benedict showed me around. He is the Superior of the community, and a former Provincial and Novice Master. He’s a humble man, much involved in the parish too, and has a ready smile for the students. Thanks Br Ben!